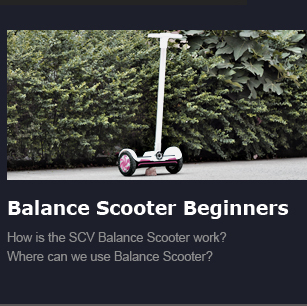 How is the SCV Balance Scooter work? 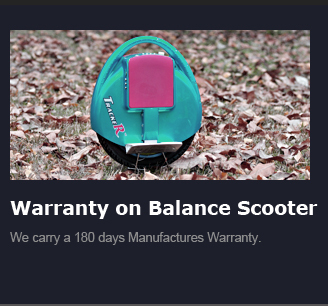 We adopt dynamic balance control on our SCV(Sensor Controlled Vehicle) Balance Scooter. The gyros and speed sensor inside scooter probe rider body gravity, a micro calculation system analyzes the body gravity change and drive the motor precisely to keep the scooter in good running status. The Balance Scooters are not only for urban street, it is also a great skateboard. 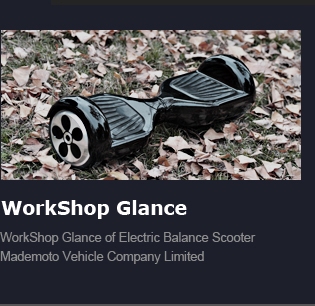 We can run the balance scooter on wood land path, park, house yard and even in house. For the SCV beginners, how to drive the balance scooter?